Android seemed to be the most safe mobile OS, but quantity and quality of viruses is growing, that’s why we’ve provided some tips on anti-virus protection. Android OS has earned its place among the most popular and widely used mobile operational systems. It is supported not only by big companies, but by small businesses too and that makes the targeted audience of this OS to be pretty wide. Android can satisfy almost any need because as you know there are various devices which a running that OS: mobile phones, tablets, cameras and so on. And such a wide compatibility is the factor that made that platform to be so popular. As any other OS, Android simply can’t be 100% safe. If literary a couple of years ago there was not a single virus for Android, now there are thousands of those. All that story began at the end of 2010, when in Chine a first application that can collect users personal data and send them to remote servers was detected. That app was called a Geinimi trojan and it was pretty widely spread and when it was detected the sales of mobile anti virus app became huge. But the most numerous malware applications are the so called SMS trojan apps. Those applications are united in AndroidSmsSend virus group and they have only one goal – to send SMS to a short numbers with a high-cost billing, in other words – to steal money from your mobile account. Sometimes, mobile devices that are infected with this kind of malicious applications can be used to send a thousands of unreadable messages to a single mobile phone number. The mass of such messages creates a mobile analogue of a DdoS attack and the targeted mobile phone number will lose its reception and the effect is the same as if somebody used a mobile phone jammer nearby it, but that technique works remotely. 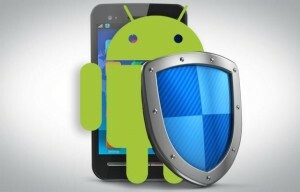 The worst thing here is that the more popular Android will become, the more those viruses and trojan apps will appear. And Google Inc simply doesn’t want to face the fact that now Android has some security gaps. The company said that Android doesn’t need an antivirus and all those anti malware apps manufacturers simply trying to sell those products no matter if they are really necessary or not. But in the meantime, Google develops Bouncer system that scans all the apps at the Play Store. But virus makers have already found some ways to outflank that system. We at Jammer-Store Company think that the main problem with Android based devices security is the so called human factor. It is not that important how strong the device will be protected, because the wish to get an application for free will make users to install them not from Google Play, but from other various web sites and that’s the main reason of infection. Also lots of users rarely pay attention to the permissions the applications ask for despite the fact that it is the most reliable way to detect and to block malware before installing it. You should also pay attention to an anti virus applications, those apps will really enhance you mobile device’s security. If to sum all that is written above we can tell that Android is a Linux-like system and any attempt of a hack or any malicious activity has to be approved by the user himself. That means that you have to install a virus yourself and give it all the permissions it needs to work. In other words you have to approve its Internet access or sending messages or manipulations with files. That’s why the best way to avoid those problems will be to check the permissions the app asks before installing. For example, if animated wallpapers ask a permission to access the net and a game asks for sending messages – its a good reason not to install those.